Unit4.0(White) Release: Special Model (with 2200mA), Quantity Limited! As a celebration of Go-Dap Unit4.0 (White) release on 12th in June, we released a special model (with 2200mA)! It is possible to customize Go-Dap Unit4.0 in your favorite tastes! Custom-option upgrade is a hardware modification, and thus it is very difficult to apply custom-option upgrades afterward. Please contact our support center for your assistance if you prefer an already custom-option upgraded Go-Dap Unit4.0. 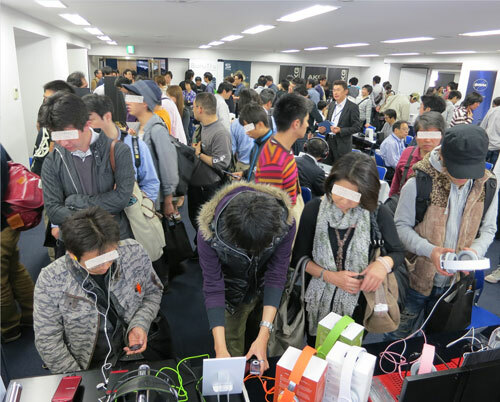 Exhibited a new product at Stadium Place AOYAMA on 15th, last Saturday! Tried and listened by so many music lovers. 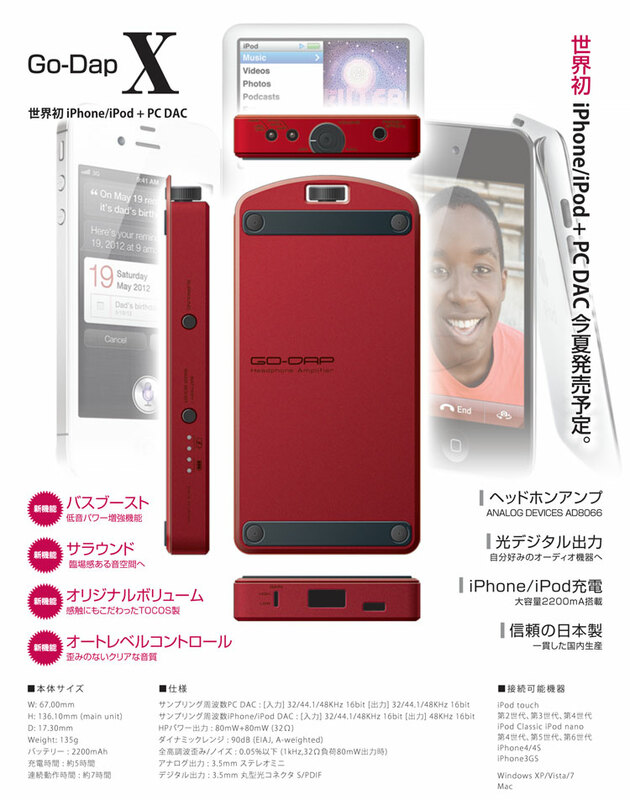 Go-Dap X corresponds to iDevices such as iPod classic, iPod touch, and iPod nano. Even more, Go-Dap X works as a PC DAC! Of course, Go-Dap X still has an optical out and so can be both, portable and stationary. 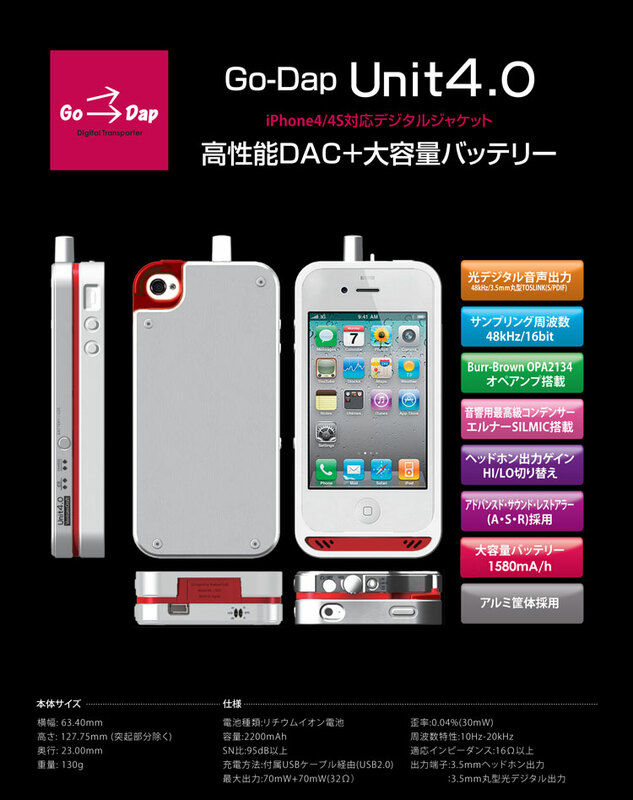 Go-Dap Unit4.0 (WHITE ver.) also exhibited! Available to purchase in June, 2012. The surface of holder case and back-plate are specially soft-feel treated which prevents scratches. The holder case completely matches with the iPhone's mute/on switch. Aqcuired wonderful reputations on the event site and sold fabulously at the Fujiya Avic bargain sales. Thank you so much for visiting VentureCraft booth.